Fierce and focused mother-daughter duo Tisha Thompson and Kiera “Babes” Thompson inspire business goals and slay together on the Mother’s Issue cover. Tisha and Kiera Thompson. 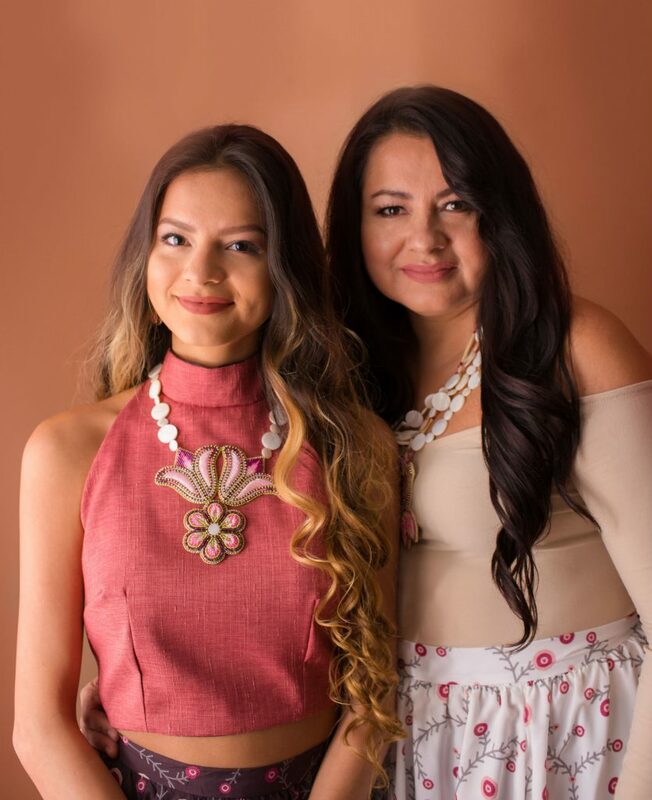 A fierce and flawless mother-and-daughter beauty duo and a pair of entrepreneurs from the Akwesasne Mohawk tribe located in upstate New York, Ontario and Quebec. I first met matriarch Tisha during a search for like-minded creatives in the Philadelphia-area when she answered my casting call. Her joyful and exuberant personality was the first thing I noticed about her. From then on Tisha and I have remained in touch, periodically partnering up on collaborations such as photo shoots, magazine features, and makeup collections. 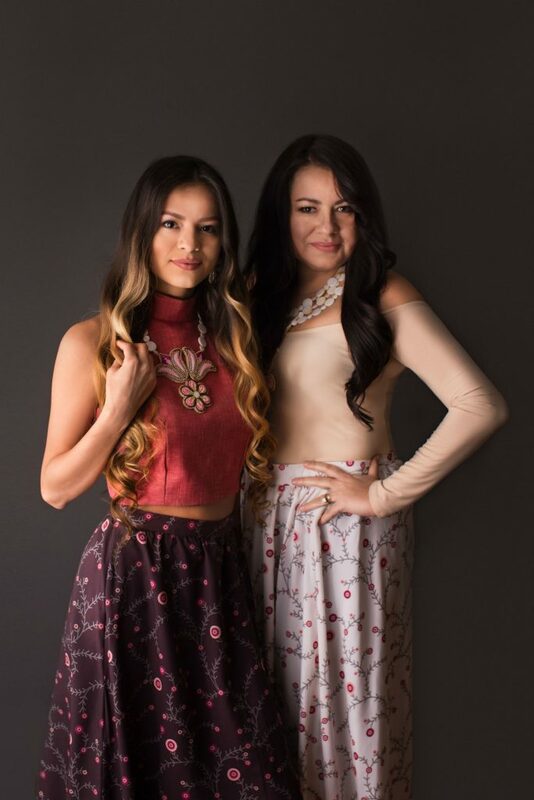 Native Max sat down with the duo where they shared what it’s like to run a makeup business and dished out words of encouragement. On starting their own makeup company: Tisha has always been a hairdresser over the years, then decided to add makeup artistry to her repertoire. A few years ago, Tisha met David and Julie, a couple with their makeup manufacturing company. According to Tisha, David is a chemist who started his company 16 years ago in Montreal, Quebec. “He approached me and told me he saw the same passion in me that he has for makeup,” Tisha remembers. “He taught us everything we knew.” After teaching Tisha and Babes how to manufacture makeup and maintain a beauty business, David sold his company to Tisha and returned to his homeland of Malaysia. 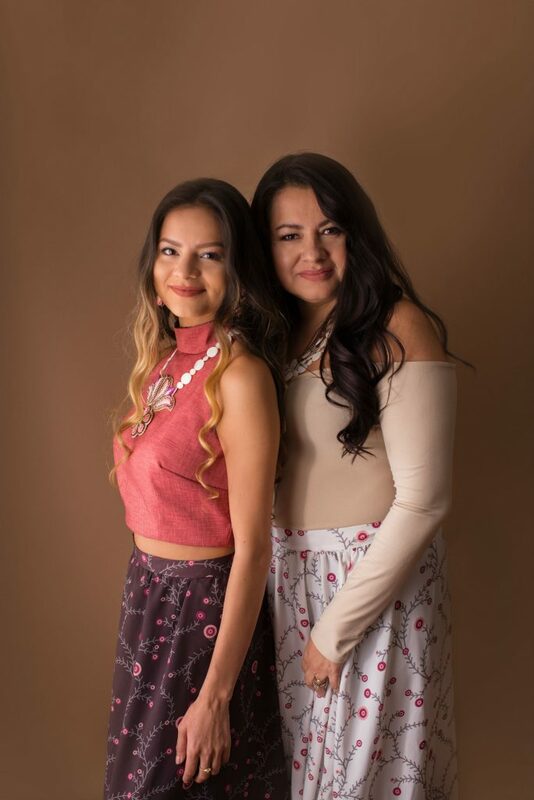 “We moved the company to Cornwall Island Akwesasne, located in Ontario province.” Tisha now has a retail space where her and her team not only manufacture and market cosmetics but sell to customers as well. At their swanky space, Tisha also offers services and makeup classes, including free workshops for the youth such as runway modeling. On running the business: Tisha runs the finances, fulfills orders and facilitates the makeup classes, while Babes manufactures cosmetics, works at the store and preps the photoshoots that take place in their shop. 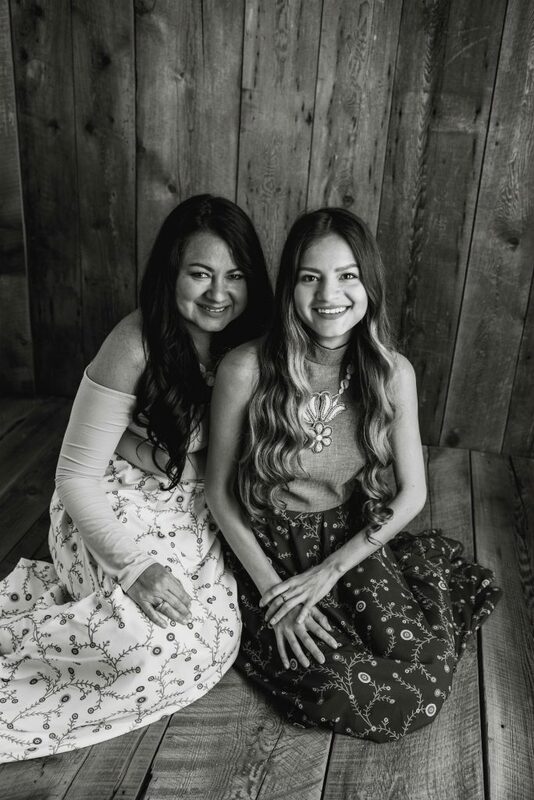 On dealing with the struggles of running a business: There are certainly struggles to for building and maintaining a company but for Tisha and Babes, the rewards remarkably outweigh the struggles. “The best part of building this business is that we get to do it together” Tisha says. “I enjoy owning a business with my mom, and it’s rewarding, and fun” Babes adds. Tisha explains that they’re able to market to women across a wide range of ages, as Babes knows what her age group likes. 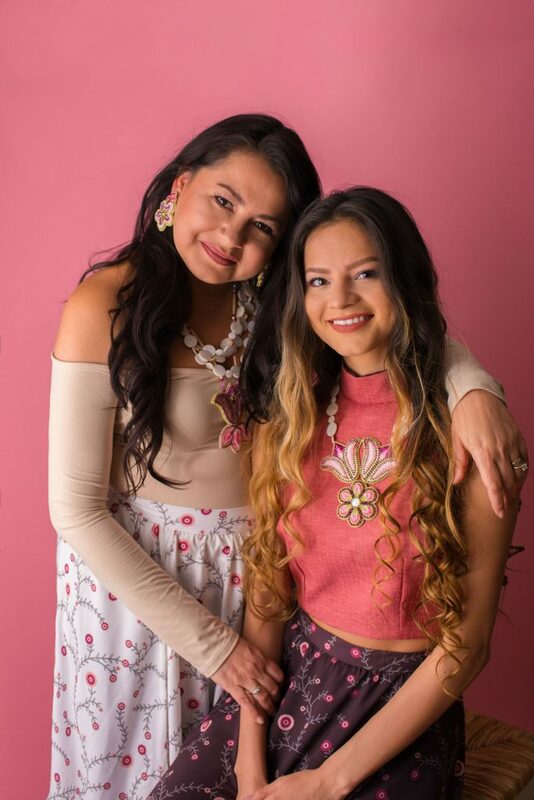 On how their love for each other shines: The love the mother and daughter have for each other shines through everything they do together, from family events to the business. “We often do shoots together and use her pictures for advertising for our company.” Tisha adds, “I think that’s the fun part for me for photo shoots, doing makeup and hair and seeing the results. When you don’t feel like you’re doing enough as a mother: I feel the same way sometimes. I try and spend as much time with my kids as I can. Talk to them all the time as I always want them to know I’ll always be there for them. All you can do is be the best mom you can be, and at some point, I can’t wait to be a grandmother. Babes, when asked to describe her mom in 3 words: Amazing, hardworking and selfless.